The Nissan LEAF was awarded the 2014 Best Non-Luxury Traditional Compact Car during the IHS Automotive Loyalty Awards at the 2015 Detroit Auto Show. At the Detroit Auto Show, Nissan announced they were in the process of developing a 200-mile range Nissan LEAF, which should be complete by 2016/2017. The Nissan LEAF was the only plug-in vehicle among 33 other winners to receive an IHS Award. 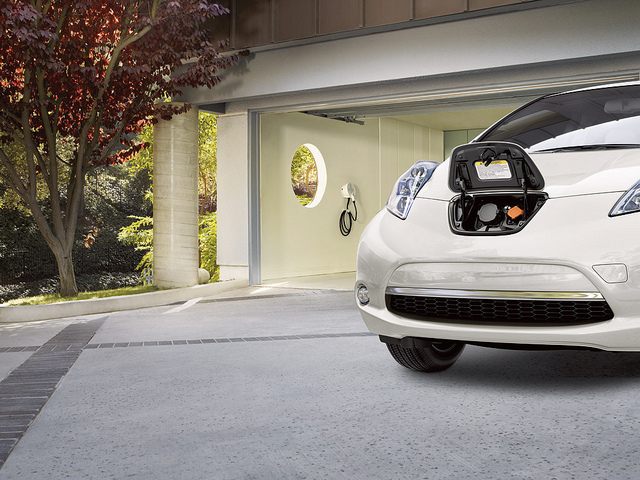 The LEAF was also the first plug-in vehicle to sell more than 30,000 units in one year. Nissan sold a total of 30,200 in 2014. Loyalty is determined when a household that owns a new vehicle returns and purchases or leases another new vehicle of the same make, model, or manufacturer. IHS Automotive analyzes loyalty throughout the year through in-depth research and analysis of automotive shopping behaviors, market influencers/competitors, and conquest/retention strategies. It has been discovered that most people choose the Nissan LEAF, not to save money at the pump or because it is an affordable option, but because they truly want to make a difference for the environment. This zero-emissions vehicle is slowly changing the way people look at driving and it has caused thousands of people switch to an all-electric vehicle. The Nissan LEAF is the best-selling EV on the market, and it continues to impress. When will you join the green revolution? Check out an all-new Nissan LEAF today from Carriage Nissan and make the switch! Reduce your carbon footprint, save money at the pump, and enjoy driving an all-electric Nissan LEAF!